Stick with hope! &nbsp;"Give a Hoot" Breast Cancer Awareness stickers are approximately 3" x 4.5". Stick with hope! 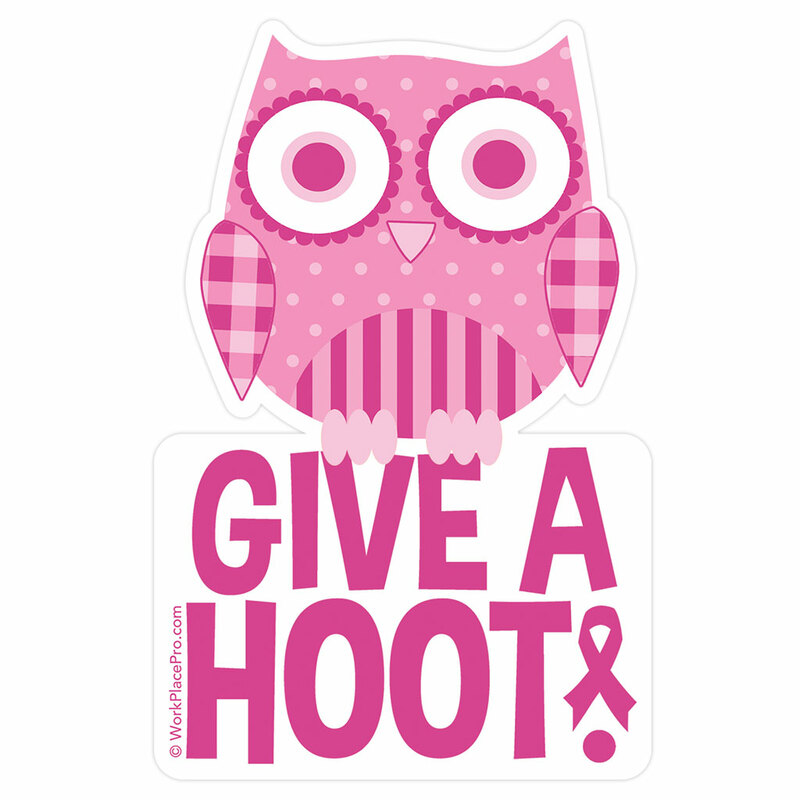 "Give a Hoot" Breast Cancer Awareness stickers are approximately 3" x 4.5".